"New York" begins with Cohen's 1988 film, This is a History of New York, which borrows the narrative of monumental epochs to frame fragments of industrial decay and vagrant life along the Hudson River. A decade later, Lost Book Found (1996) follows listings of places, objects, and incidents from a found notebook to decode the city's confessions. Little Flags (2000) and NYC Weights and Measures (2006) straddle 9/11, portraying the aura of publicness and pride in the financial district, before and after the event. In Long For the City (2008) Cohen pictures New York through Patti Smith's reflections on her forty-year history under its sky. 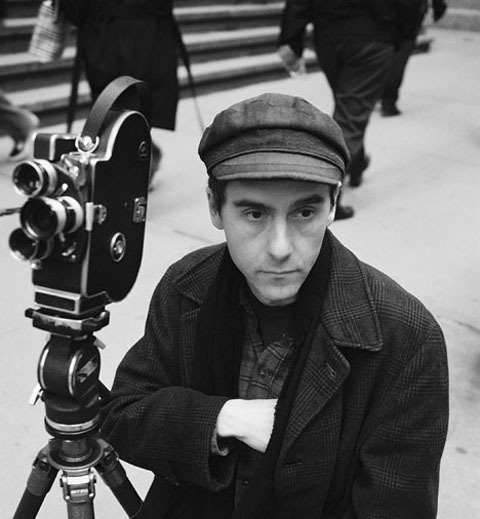 Cohen's most recent production, a series of nine newsreels from Occupy Wall Street affirms his practice as flaneur and verite historian. This is a History of New York. 1988, 16mm, 23mins. Lost Book Found. 1996, 16mm, 37 mins. Little Flags. 2000, 16mm, 6mins. NYC Weights and Measures. 2006, 16mm, 6mins. Long for the City. 2008, 16mm, 10 mins. Night Scene New York. 2009, 16mm, 10mins. Gravity Hill Newsreels: Occupy Wall Street #03. 2011, HD, 5mins. Jem Cohen's work is distributed by the Video Data Bank.